Thank you to everybody for your support yesterday at finals night. I’m sure you will agree we had some amazing games and some worthy winners! Jamie Bown was our singles champion and Chris Allen and Mark Gould were our pairs champions! 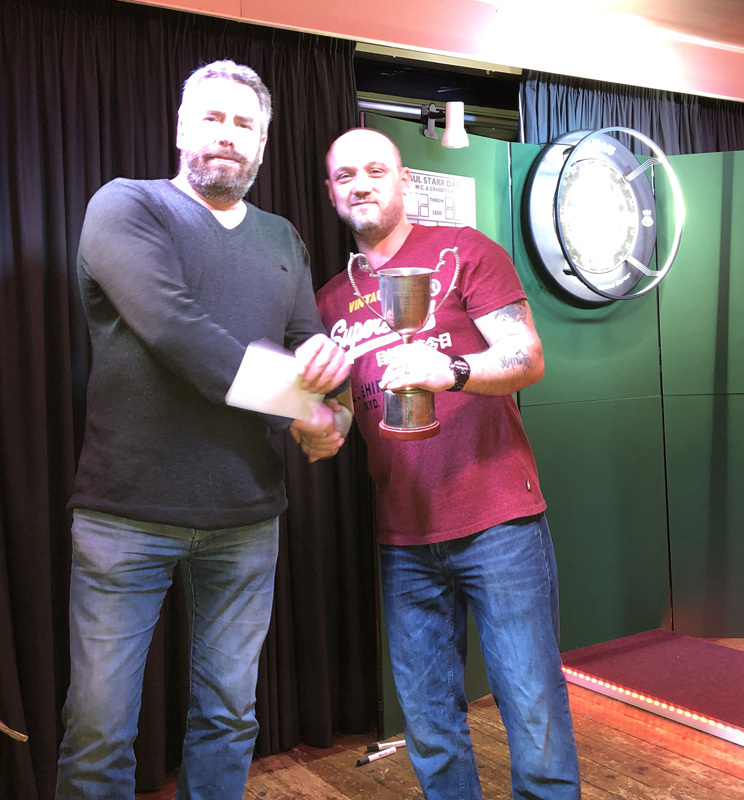 As usual we have a number of people to thank – Paul Starr for his quality MC performance, Darren for presenting the trophies, Carole for running the draw with Jenny, Liza and Kim (over £200 raised for the air ambulance! ), Alfie for his help with the trophies and of course to Paulton Rovers for their amazing hospitality! Pictures will be coming soon to Facebook and added to the history page of the main site a bit later. We hope everybody had a great season. Both divisions were possibly the closest finishes we’ve ever had! Apologies again to division 2 for all the byes you have had to suffer. Hopefully its a situation that will not happen again. We begin again next Thursday (28th) with the summer 2019 AGM. If you’d like to join/rejoin the league please do your best to attend (£20 deposit required on the night).